Israel defends the raid, saying troops had been ambushed. 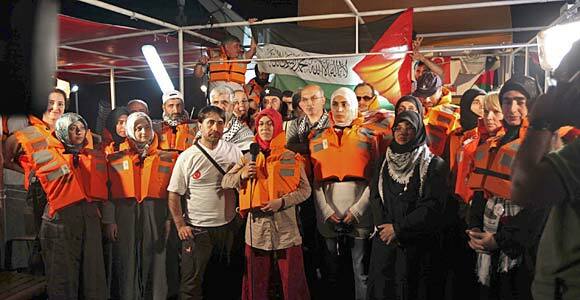 Organizers of the flotilla, who had hoped to break the Gaza blockade, call it murder of civilians. The killings spur international condemnation. Reporting from Jerusalem — Israeli naval ships seized control of a protest flotilla carrying humanitarian aid to the Gaza Strip on Monday, killing at least 10 people and sparking widespread international condemnation. The raid set off a storm of international protest and drew condemnations from leaders of Spain, Sweden, France, Germany, the U.N., the European Union and Arab League. But after some initial expressions of regret, Israeli officials Monday came out strongly in defense of the raid, characterizing the protesters as hard-core extremists who had prepared an ambush for soldiers. Deputy Foreign Minister Danny Ayalon called the flotilla an “armada of hate and violence” that launched a “premeditated and outrageous provocation.” He said Israeli soldiers found evidence that “weapons” had been prepared in advance, but he did not specify whether those weapons included guns. Israel’s military said protesters managed to grab two guns from Israeli soldiers and use them against the commandos, prompting soldiers to return fire. “This was murder,” Berlin said in a telephone interview from Cyprus. The six-vessel flotilla, packed with hundreds of international activists, food and other humanitarian supplies, had left Cyprus on Sunday night in an attempt to break Israel’s longstanding blockade of the Gaza Strip. Israel had vowed to intercept the boats, by force if necessary, and tow them to the Israeli port of Ashdod, where passengers would be arrested or deported. According to an Israeli commando, speaking on condition of anonymity, he and other Israeli soldiers who rappelled onto the boat from a helicopter were immediately attacked by about 30 people on board. He said activists tossed some of the soldiers from the top deck to the lower deck and the soldiers jumped in the water to save themselves. Activists grabbed some soldiers and tried to hold them hostage, stripping them of their helmets and equipment, he said. Ten Israeli soldiers were wounded, two seriously, the military said. Protest organizers said the nighttime raid on the Turkish-flagged Mavi Marmara, the flotilla’s largest vessel with 600 passengers, occurred in international waters more than 40 miles off shore. Video released by television crews onboard and a live Internet signal transmitted from the boat show armed and masked Israeli soldiers rappelling from helicopters onto the boat and being attacked by passengers with iron clubs. Berlin said the activists were acting in self-defense after soldiers opened fire. The group had launched nine previous ships to Gaza, and five were permitted to pass to the territory after being searched by the Israeli navy. Protest organizers described a chaotic early-morning takeover in international waters. Berlin earlier told Israel Radio that the confrontation was broadcast live from a Turkish boat participating in the flotilla. The footage, she said, clearly showed Israeli soldiers opening fire on civilians. “The minute their feet hit the deck, they started to shoot,” Berlin said. She added, “Something happened to your country to make it think it is all right” to shoot civilians. Israeli radio military analyst Yoav Limor blamed the military for underestimating the resistance it would encounter. “There was serious violence” that forced the soldiers to open fire, he said. But condemnation was wide and swift. Protests against Israeli embassies in Jordan and Turkey erupted, and Greece canceled a planned joint military training exercise in protest. Reaction from Turkey, whose citizens were among the dead, was particularly harsh, warning of “irreparable” harm to Israeli-Turkish relations. Turkey recalled its ambassador from Israel and warned of further actions. Israel’s counter-terrorism bureau urged its citizens not to travel to Turkey as a security precaution. Turkey was once one of Israel’s only Muslim allies in the region, with close economic and military ties. 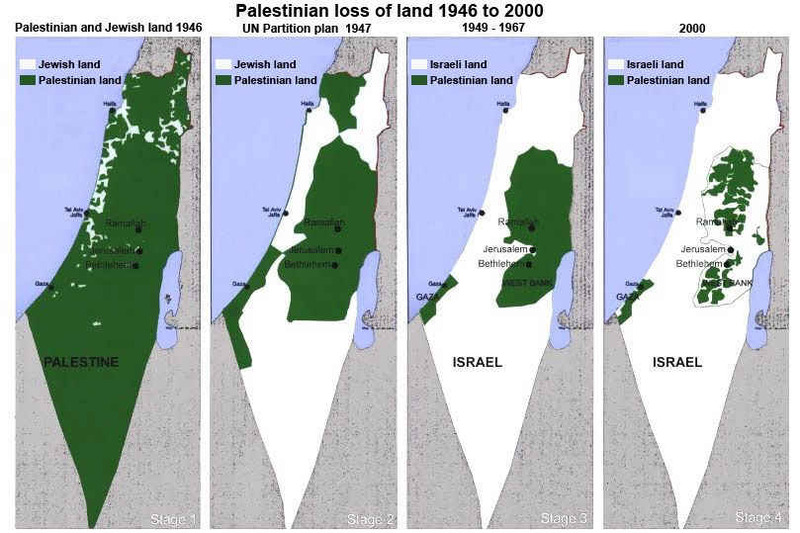 But over the last 18 months, their relationship has soured, particularly after Israel’s 2008-09 military assault on the Gaza Strip. Israel has accused Turkey of shifting its loyalty toward Iran. Israel put its security forces on alert in case of demonstrations by the nation’s Arab minority. Leaders huddled to prepare the government’s response to the criticism both internationally and from Palestinians and Israel’s Arab minority. In the Gaza Strip, hundreds of people protested, and Hamas leaders called upon Muslims around the world to demonstrate. Among the injured was Raed Salah, a firebrand Arab Israeli who heads the northern faction of the Islamic Movement of Israel and enjoys strong support among Arab Israelis. He called for a lifting of the Gaza siege and prosecution of any military commanders who authorized the shootings of the activists. Ayalon accused some of the protesters of having links with terrorist groups, including Al Qaeda, and defended the boat’s seizure. “Allowing these ships to go in an illegal way to Gaza would have opened a corridor of smuggling arms and terrorists to Gaza,” he said. Israeli Prime Minister Benjamin Netanyahu, who is on a trip to Canada and was scheduled to travel to the U.S. for a White House meeting with President Obama, is considering cutting the trip short and returning to Israel. A White House spokesman Monday expressed regret at the loss of life and said the U.S. was investigating the circumstances of the attack. Flotilla organizers said they were carrying first-aid supplies and medical professionals in the event of casualties, but Adam Shapiro, the husband of one flotilla leader, said that “we thought that the possibility that Israeli soldiers would shoot” was remote. Israel says the blockade of Gaza, which is controlled by the armed Palestinian group Hamas, is needed to combat terrorism. Batsheva Sobelman of The Times’ Jerusalem bureau contributed to this report. May 31, 2010 | 6:57 a.m.
El Quida trained participants with “citizenships of convenience” from Britan and France were on that boat attacking Israel. It appears they want Israel to let them bring in weapons in totally unsupervised. Islam uses freedom, it does not give it. They were not murdered. They were thugs on a mission to kill Israels.